Thailand’s Nation Multimedia Group will spend Bt200 million (A$7.9 million) to develop its two digital TV channels, despite the difficulties the digital TV industry is facing in the Kingdom. 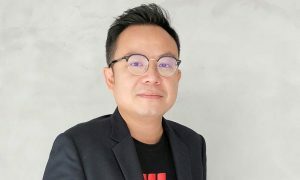 The group has two channels: 24-hour-a-day news broadcaster Nation TV and variety channel Now26, which, according to the group’s CEO Duangkamol Chotana, has become Thailand’s leading documentary channel. The most recent AC Nielsen survey rated Now26 as having the fastest-growing viewership in the past six months, while advertising income has increased. South Korea’s traditional newspapers’ revenue fell sharply in 2014, according to a Korea Press Foundation survey. Sales by the entire newspaper industry, both off-line and on-line editions, was 3.49 trillion won (A$4.12 billion) in 2014, down 1.3% from the previous year. Sales of newspapers were 493.4 billion won, a 15.6% decrease. Daily newspapers’ revenue fell 17.9% from 449.1 billion won to 368.9 billion won. Weekly papers fell 8%, from 135.3 billion won to 124.5 billion won. Printed newspapers’ ad revenue also dropped 3.1% from 1.83 trillion won to 1.77 trillion won. But printed newspapers increased revenue by 71% from selling internet content, from 61.2 billion won to 104.7 billion. Internet newspapers’ ad revenue rose 20.1% to 175.7 billion won. Malaysian media groups this week condemned a proposal by the Attorney-General to increase the punishment under the Official Secrets Act as an assault against freedom of expression and information in upholding democracy in Malaysia. Attorney-General Tan Sri Mohamed Apandi Ali said on Saturday he is considering increasing the punishment for those who leak official secrets. This includes journalists and whistleblowers alike. Amendments could include life imprisonment and caning, with 10 strokes of the rotan. Thailand’s Mono Technology, a SET-listed media and entertainment company, hopes to double its revenue this year to Bt3 billion with the popularity of its Mono 29 digital-TV channel, which is now attracting advertisers. Mono 29, a free-TV station showcasing films and TV series, will spend about Bt800 million to produce its own programs and to buy programs from abroad. 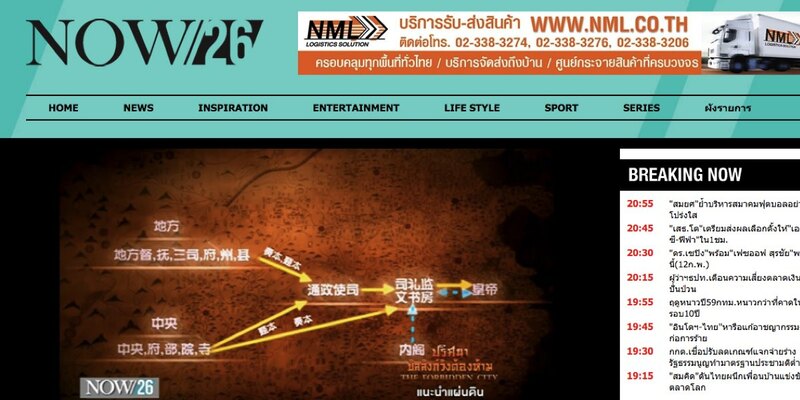 It has already signed deals with Warner Brothers, NBC Universal, Paramount, Sahamongkol International, Phranakorn Film and Major Film, and plans to produce about eight or 10 local dramas. Mono 29 forecasts that improving ratings will enable it to increase its ad rates to Bt50,000 per minute for prime-time evening. Nielsen Co (Thailand) ranks the Mono 29 channel fifth among Thailand’s 27 free TV channels. Singapore’s Mediacorp is calling for startups to sign up to phase two of its Mediapreneur incubator, which was set up to nurture high potential technology companies in the media industry. Mediacorp also continues to nurture the seven start-ups admitted in the first stage, which have a diverse profile of founders from Germany, France, Vietnam, India and China as well as Singapore. Two of the startups have clinched commercial deals with Mediacorp’s business units. Spotted!, a company developing gaming ads, partnered with Channel 8’s Life, Fear Not drama series to introduce a mobile game for viewers of the series. Infini Videos, a developer of video editing tools, is working with Mediacorp’s digital sales solution unit to extend its platform to Mediacorp’s clients. Applications for the Mediapreneur programme is open until Monday 29 February 2016. Interested startups are invited to submit their applications at themediapreneur.com.sg. The Media Agency Association of Thailand hopes that government spending will help maintain 3.5% growth in advertising expenditure to Bt141 billion (A$5.6 billion). Khanokkhan Prajongsangsri, director for investment and knowledge at IPG Mediabrands, noted that public spending was one of the key drivers helping the industry to continue to grow. Last year the Thai government was ranked as a top-five advertiser, spending more than Bt2.05 billion on advertising, according to a Nielsen (Thailand)’s media survey. Beleaguered Hong Kong broadcaster ATV failed to air its licence-mandated Chinese and English newscasts last weekend night after a mass staff exodus over unpaid wages. The station said its news broadcasts had been “suspended”. 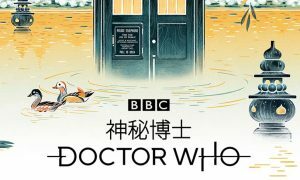 The South China Morning Post reported that under the terms of its licence, Asia Television was required to broadcast two newscasts of at least 15 minutes each between 6pm and midnight on its Chinese- and English-language channels. A Communications Authority spokesman said the suspension could result in “different levels of punishment”. Since December 2011, ATV has been fined at least 16 times for frequent delays in paying salaries and other licensing violations. The fines totaled over HK$4 million (A$729,000). In April last year, the government announced it would not renew ATV’s licence because it had failed to submit a sustainable business plan. It was allowed to operate until 1 April this year. Thailand’s Broadcasting Committee this week cancelled Thai TV’s two digital TV licences after the company failed to pay fees. Thai TV refused to pay the Bt288 million (A$11.5 million) second instalment of its upfront licence fee as well as the annual fee. Thai TV boss Pantipa “Sister Tim” Sakulchai, relinquish its licences to run news channel Thai TV last year and another channel for children and family called Loca, which was later renamed MVTV Family. The company also failed to pay its annual licence fee, which is about 2% of revenue. The broadcaster still owes five instalments of the upfront licence fees worth Bt1.63 billion plus value added tax. • The Philippine Daily Inquirer has signed a deal with online recommendation engine Outbrain. 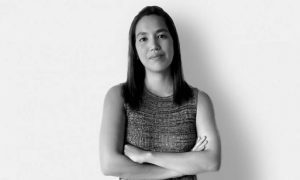 This will see the media company enhance its digital strategy by deploying the full-suite of Outbrain’s Engage solutions to deliver relevant content to audiences on its key digital portal, Inquirer.net. • Noriza A. Mansor, 50, a supermarket salesperson, was presented with the inaugural Straits TimesSingaporean of the Year 2015 award last week. She “went beyond the call of duty” by helping an elderly stranger after he soiled himself at the supermarket. • Employees of Thai Public Broadcasting Service and have criticised last month’s appointment of Krissada Ruang-areerat as station director. They say that Krissada, a dentist and former manager of the Thai Heath Promotion Foundation, lacks professional media or journalistic experience. Uajit Virojtrairatt, an academic and former Thai PBS Policy Board member, said that according to the 2008 Thai PBS law, a person must have knowledge, expertise or experience in media organisations to be considered for the position. • Tencent’s newly signed agreement with ESPN means that Tencent’s live sports coverage and digital products in China will now feature a combination of exclusive Chinese-language (Mandarin) original and localised ESPN content, initially focused on the NBA and international soccer, with the potential to expand to other sports. • Cambodia’s broadcasters are dodging their legal obligation to show only Khmer-produced programs between 7pm and 9pm, the Ministry of Culture and Fine Arts said last Friday, urging stricter compliance. Cambodia’s Ministry of Information spokesman Ouk Kemseng said that Cambodian TV networks spent between $7 million (A$9.8 million) and $10 million importing up to 20,000 foreign films and TV episodes in 2015. • Indonesia’s Television watchdog Remotivi criticised local television networks for airing programs that were unsuitable for children, with gossip and entertainment programs taking up more airtime than children’s programs. • Channel NewsAsia will boost its digital presence with two agencies – VML Qais Singapore and Aperto – appointed to revamp the digital assets. Channel NewsAsia claims it reaches more than six million users a month. • China’s ICT company Huawei has signed a commercial partnership with CNN International, launching a three-month, integrated campaign comprising program sponsorship, on-air weekly segments and vignettes, spot advertising, banner ads and digital components. Most of the campaign centres on CNN’s Connect The World program in Asia and Latin America. • The Philippines largest broadcaster ABS-CBN was the most watched TV network in the country last January after it attracted scored an average audience share of 43% from combined urban and rural homes, compared to GMA 7’s 36%, according to Kantar Media data.